In every grant application, I want to see a simple visual guide (a Gantt chart) that shows what you are planning to do. It is the perfect time to plan your project clearly. It shows the assessors that you have thought about your research in detail and, if it is done well, it can serve as a great, convincing overview of the project. Clearly, these charts are hard to do. If they were easy, more people would do them, right? Here are five steps to create a simple guide to your research project. Make a list of everything that you plan to do in the project. Take your methodology and turn it into a step-by-step plan. Have you said that you will interview 50 people? Write it on your list. Are you performing statistical analysis on your sample? Write it down. Check it against your budget. Everything listed in the budget should also be listed on your uber-list? Have you asked for a Thingatron? Note down that you will need to buy it, install it, commission it… What about travel? Write down each trip separately. For each item on your list, estimate how long it will take you to do that thing. How long are you going to be in the field? How long will it take to employ a research assistant? Realistically, how many interviews can you do in a day? When will people be available? Initial meeting: about 3 weeks to find a time. Draft key elements: about 1 week each. Testing: about 1 week each, but can start organising as soon as first element is drafted. Final report: no time, really – just need to find a time to meet. Generally, I use weeks to estimate time. Anything that takes less than a week I round off to a week. Small tasks like that will generally disappear from the list when we consolidate (see Step 4). Then I group things together into months for the actual plan. What is the first thing that you are going to do? What will you do next? What will you do after that? What do I need from others & when? How do I check that I am still on track? One by one, put everything in order. Make a note of any dependencies; that is, situations where you can’t do one thing until another is started or finished. If the research assistant is going to do all the interviews, then the interviews can’t start until the research assistant is hired. Where possible, you should eliminate as many as possible dependencies. For example, if you can’t find a decent research assistant, you will do the fieldwork yourself (but that might mean that work will be delayed until you finish teaching). It isn’t a necessary step to getting your time-line in order, but it is good project management practice. In the comments, Amy Lamborg pointed out that you might want to work backwards. If you have a fixed end date, you might want to “…build back towards the project start date, then jiggle everything until it fits!” If you want an example of this, have a look at the post “Work backwards“. It is about writing an application, but the principle of starting with the fixed end date and working backwards still applies. Now that you have an ordered list, and you know how long everything will take, you need to reduce the list without losing any specificity. At the same time, if you are combining tasks, you might want to add a bit of time as a contingency measure. Meet with partners: 3 weeks. Review data protection regimes: 4 months. Draft three key elements: 3 months. Test three key elements: 3 months, with some overlap. Analyse test results and report: 3 months. How you divide up your time depends on your project. If it is only one year long, you might list items by month. If your project is three years long, then you might list items by quarter. If you are planning over five years, you might break it down to six-month periods. If you use project management software to manage your project, and you are comfortable with it, then use it to produce a summary of your project, too. Most project management software (e.g. like Microsoft Project) will allow you to group activities into summary items. Chunk your tasks into major headings, then change the time interval to your months, quarters, half-years, or whatever you have chosen to use. Or you can just draw it up with word-processing software (which is what I always do), spreadsheet software, or even hand-draw it. Frankly, I don’t care – as long as it ends up in your application! How to write a simple research methods section. How to make a simple research budget. This is useful. I’m writing my first SERIOUS research proposal for my PhD. Obviously not something I’ve ever done before so all advice is greedily welcome. My best advice – write something quickly and then get someone else to look at it. I’m a big fan of quick iterations to get started. Your readers might be interested in Tom’s Planner (http://www.tomsplanner.com). It’s a very easy tool to help you create a schedule or project plan (and there is a free version). On our blog we have a bunch of guest blogs about planning your thesis or dissertation with a template and example to help you get started. Sometimes, when the chunks are too big, you end up failing to understand what’s in those chunks, then your estimate ends up WAY off when you realize the extra work you didn’t consider might go into a give task. I can’t imagine many people use MS project to manage their entire PhD (I could be wrong?) therefore it seems a bit excessive to use it just for a Gantt chart. Equally I find Excel plots look a bit naff and it’s difficult to show linkages between items. Absolutely! I just want to plug in my info and get a simple image out. How hard is that? I’m not a big fan of big-iron project management tools either. More time seems to go into managing the information than getting actual work done. I do think that most group projects that are going to last twelve months or more could do with a simple project management tool, though. I’m a bit of a fan of Basecamp, even if it doesn’t draw Gantt charts. Of course, everybody has to understand the tool and want to use it, which is a different matter. 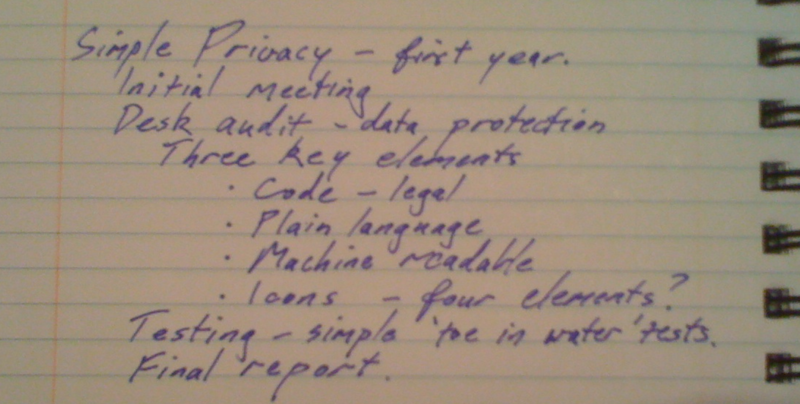 I’m currently trying my hand at project management software, but I seem to find it easier to simply write down stuff in a piece of paper before committing it to electronic format. Anybody else has the same issue? Absolutely, Carlos. As someone who has managed a big project that included spending a lot of time wrangling MS Project, I’m a big fan of just scribbling it down on paper and then mocking it up in MS Word. Excellent introduction to project planning. I’ve seen recent examples of project managers jumping into MS Project without this level of thinking, with predictable results. Questions that should help (and which you would need to answer anyway when asked by seeking funding or approval) include: What do I need to do by when? What do I need from others & when? How do I check that I am still on track? An Excel bar chart is pretty much all you need to create a Gantt chart. Unless of course you intend to explore resourcing and costs. Your info really helped me by doing my D.T ( Design Technology) homework. I haven’t been to Jordan for a very long time, but I had a great time when I was there. No worries, Yan. Happy to help. Stumbled across this useful piece on the use of Gantt charts in research projects. I realise this may seem rather common knowledge to scientists but as a Arts and Humanities-based person I found it gave useful insights for new researchers. I suspect that there are plenty of science people who don’t get any formal training in this, either. Gantt charts are really useful. Thanks for posting this information about gantt charts. This is a very informative post and very helpful, too. Thanks Jonathan. I have just completed my first Gantt chart for my Doctorate in Health. I was beginning to get a bit jumpy about some of the very involved instructions I had found previously so your ‘idiots guide’ was really helpful. Happy to help. Good luck with your doctorate. I have been using a Gantt chart to plan and track my doctorate since I began last year. It’s just an Excel spreadsheet but suits my purposes, very simple. One thing I’ve found useful us to mark all the highlighted cells bright blue initially, for ‘future action’. Each week, I update that week’s column to green (completed) or red (overdue). This gives me good feedback not only about where I need to change the priorities on my current ‘to do’ list, but is a very satisfying display of how much I’ve already done. I love Excel, postgradpanda. I reckon that seeing the blue change to green would be very satisfying. Thanks for this. It helped me alot for doing our work schedule in research for short allotted time. Loved it alot.. Looking forward for much guidance along the path!!! Sruti was right. It’s very helpful to me as well. Saves me a lot of trouble. Keep it up Jonathan. Are you a commercial representative for Ganttic, or did you link to them because you like them? Just wondering. list any six elements that go into the format of a research report? I don’t have a set list. It depends who your audience is, and what sort of report you are writing. I’m usually helping people to write grant applications, where the format is set by the funding agency. They make it pretty simple, really – they generally tell you exactly what they want. Jonathan, i suppose that you should try more intuitive service) My experience in project management tells me there are a lot of comlicated tools such as MS Project. After years of searching and trying (Wrike, Liquid Planner, Smartsheet) i start using GanttPRO, especially because of its simplicity and high visibility. So try GanttPRO to facilitate workflow. Thanks Jonathan! I am a grant writer, and your post is a great reminder that I should probably make a timeline visually appealing, like your hand-made Gantt. I’m going to do it! I wanted to point out that for a grant funded project (which often has a specified end date by which the money must be spent), I often find myself making a timeline backwards. That is, I start creating the timeline from the specified end date, and then ask myself the questions that Adrian Masters posed: What do I need to do by when? What do I need from others & when? I build back towards the project start date, then jiggle everything until it fits! BTW, did you know that in your text descriptions of the example timeline, the time is in weeks, but in your Gantt chart the time is in months? I have a feeling that you really meant for these to match…. This article has been viewed over 150,000 times, and you are the first person to point out the weeks / months issue. I’ve fixed it now (although it is a bit of a bodge). I agree with the backwards process, so much so that I wrote a post about it: Work backwards. It is about the grant writing process, but the principle is the same. This particular instance was one of those rare times when I truly didn’t have an end date, and could work out the actual time the project would take (surprise – it took longer). I’ve added a bit into the post about working backwards. Thanks for that. Proofreading touchdown? You just made my day! Thanks for this, and for Research Whisperer in general. I am probably not really your intended audience, but I get a lot of value from all the posts. You-all do good work!